Based on a true story and directed by Wen Muye, the film follows a medicine merchant who finds a new understanding of life after a series of adventures. 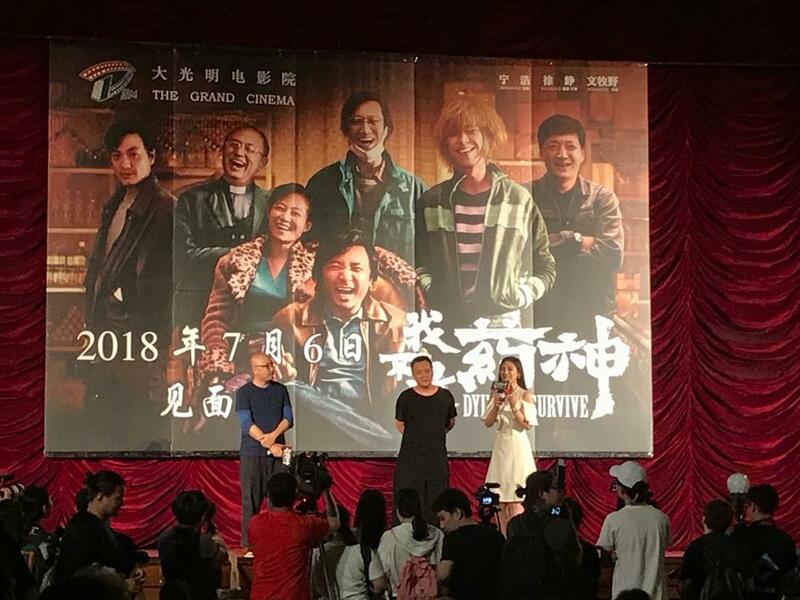 The highly anticipated comedy film “Dying to Survive” has hit Shanghai screens, and will also debut on China’s 500 or so IMAX cinemas with a special IMAX version. The film stars actors Xu Zheng and Zhou Yiwei and is produced by Xu and well-known filmmaker Ning Hao. “Dying to Survive” won high praise from local audiences for its realistic and in-depth reflection on humanity and social issues. It is also highly rated on China’s film and TV review website Douban. Movie buff Xin Yukun said that the thought-provoking film highlights big progress in Chinese cinema. He hopes that more high-quality movies tackling realistic problems will be produced. Producers Xu Zheng and Ning Hao attended the film’s screening at Grand Cinema on July 6. They talked with local movie buffs about the film’s creation.